The lives of orphans and adopted children is one of the key themes of The Seven Sisters series, and The Pearl Sister touches on two periods of history that feature ‘lost’ children. As CeCe discovers her heritage, she not only learns about the Stolen Generations of Aboriginal children, but also about the British child migrants who were sent to Australia. Sarah’s character in The Pearl Sister was inspired by the lives of British children who were sent abroad to Australia, New Zealand and other parts of the Commonwealth as part of the official Child Migrants Progamme. Between 1922 and 1967 almost 10,000 children were sent to Australia, some as young as three years old. In many cases they were not orphans, but the children of impoverished families or unmarried mothers who had been placed in British orphanages, and they were often sent on to Australia without their parents’ knowledge or consent. Many of them were instead sent to institutions such as The Goodwood Orphanage in Adelaide, from where Sarah and Eddie manage to escape. The orphans were frequently neglected and abused by the adults charged to care for them. 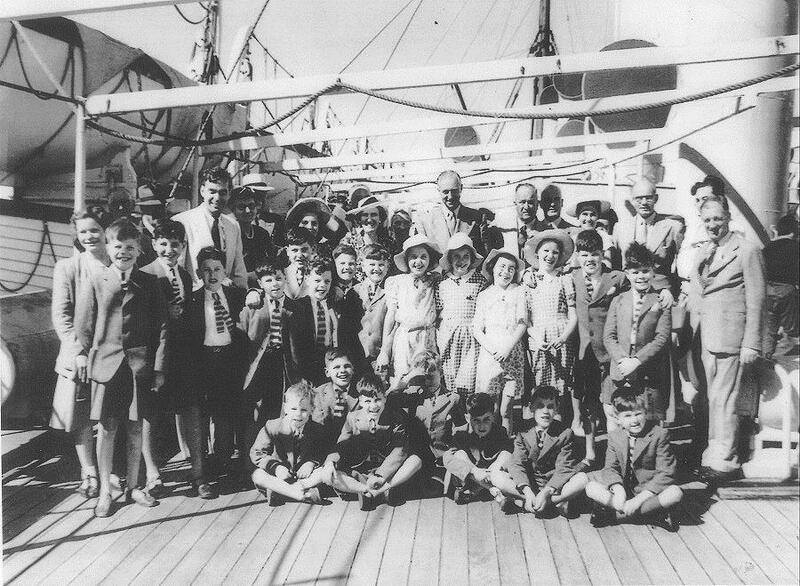 A party of British children aboard the SS Ormonde headed for Fremantle, Australia in December 1948, similar to the group that Kitty befriends in ‘The Pearl Sister’. In The Pearl Sister, Kitty observes the harsh realities of life for the Aboriginal population in Broome, Western Australia, when she moves there in 1907. One of the things that horrifies her most is the state-sanctioned practice of forcibly removing mixed-race Australian Aboriginal and Torres Strait Islander children from their parents and raising them in orphanages and other institutions where they were supposedly ‘resocialised’ into European-Australian society. This happened all over Australia from the late 1800s to as recently as the 1970s, and led to generations of children losing not only the love of their parents, but their own roots in Aboriginal culture and language. Camira in The Pearl Sister was one such child, and she keenly feels the fear of having her own mixed-race child, Alkina, taken away. 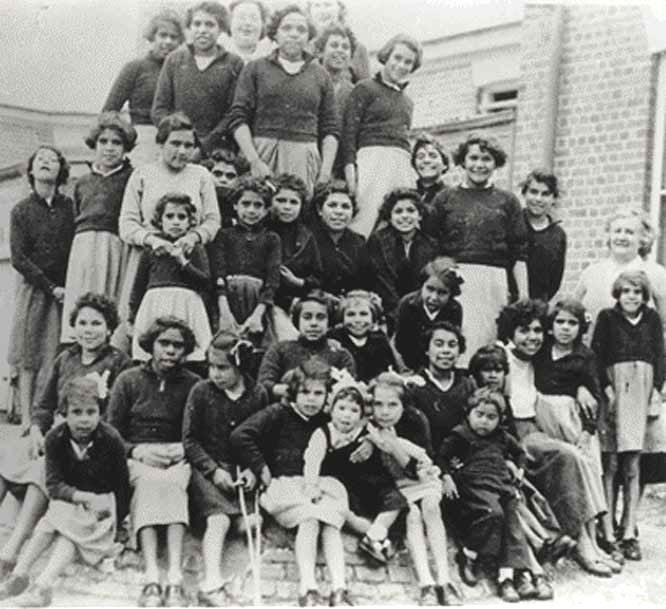 Girls at Cootamundra Domestic Training Home for Aboriginal Girls, Cootamundra, New South Wales – one of many institutions where Aboriginal children were placed after forcible removal from their parents. In 2008, the Australian government issued an official apology to the affected Aboriginal Australians.